I'm tired, and craving comfort food. 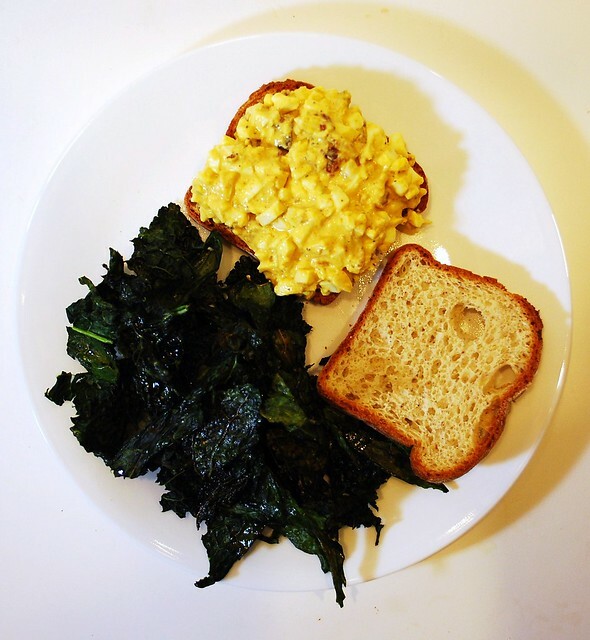 Egg salad sandwiches and baked kale chips were what I wanted. Fast! Cheap! Easy! My favorite things. 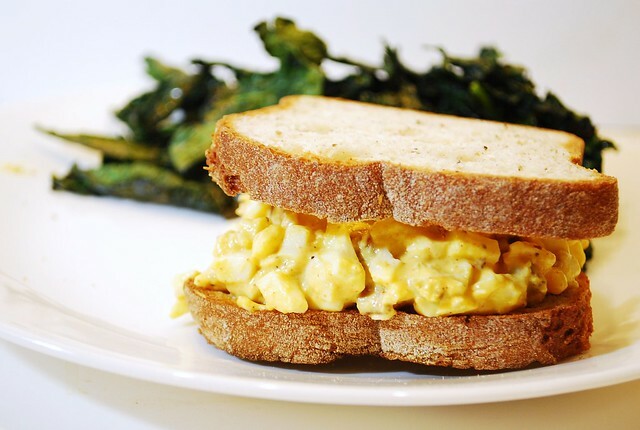 You all know I love deviled eggs, egg salad is just deviled eggs all chopped up and on a sandwich. Especially if you use a lot of mustard and paprika like me. Oh, and added bonus, I chopped up some bacon and added it in. Bacon and eggs are bff, everyone knows that! Peel the eggs, and cut them up into little tiny pieces. 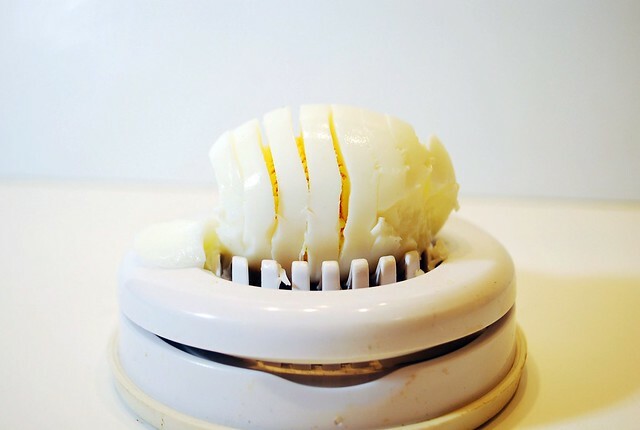 If you have an egg slicer, this is a useful tool. Put the eggs in a bowl, and add all the other ingredients. Stir well, and taste. You might want more mustard, or hot sauce, or more mayo. Serve on lightly toasted gf bread, or on crackers, or eat with a fork. Oh and that bacon grease leftover from cooking the bacon? Toss some kale in a tablespoon of it and make the best kale chips ever. I promise. Bacon on an egg salad sandwich is the ultimate. I often throw the bacon on top in strips like on a club sandwich. Bread, egg salad, tomato, lettuce, 2-3 strips of bacon, then another slice of bread. Yummm.... I'm getting hungry just thinking about it. The kale chips are a great side!